Costume necklace for the big show. Rustic fabrics are often used in country house fashion, or in traditional outfits, the proper Lederhosen. Such rustic outfits also require correspondingly effective rustic jewellery. 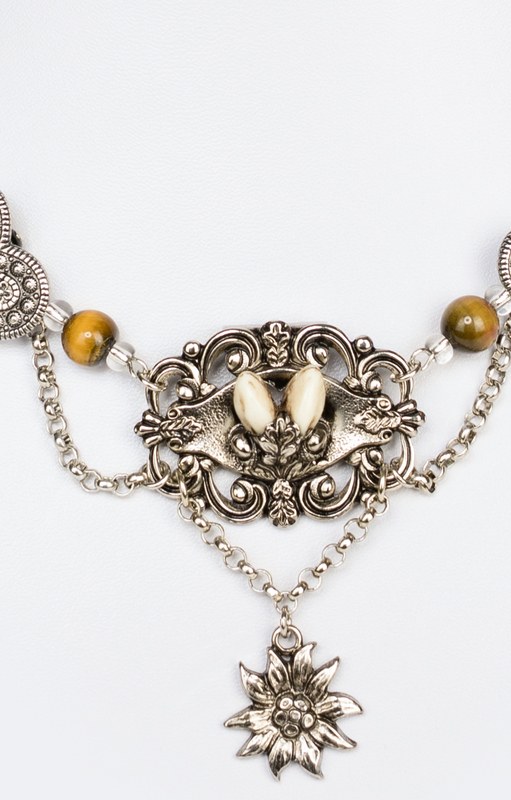 The opulent costume necklace by Schuhmacher accessories meets this desire. 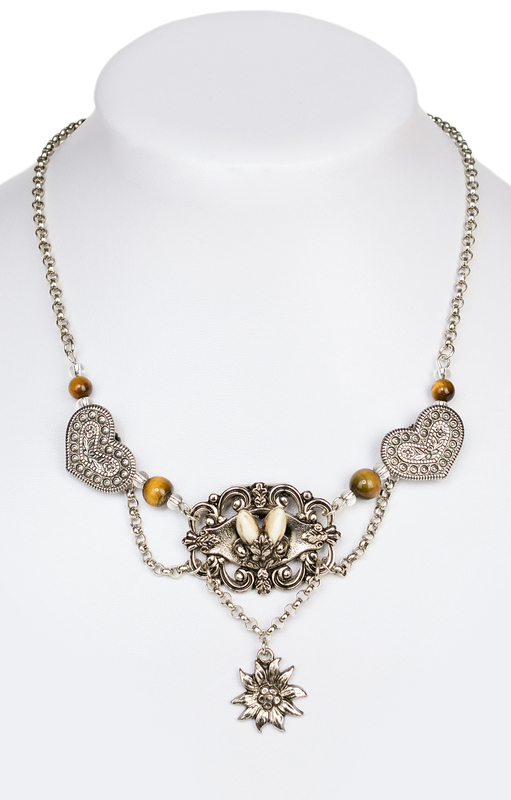 Rhinestone-studded metal hearts alternate with coloured glass beads, as well as hunting trophies and alpine elements, forming a multi-aspect overall look. In any case, especially and definitely an eye-catcher.